ROAD TO HELL - Michael wrapped up filming his latest film on location at Van Nuys, Los Angeles. 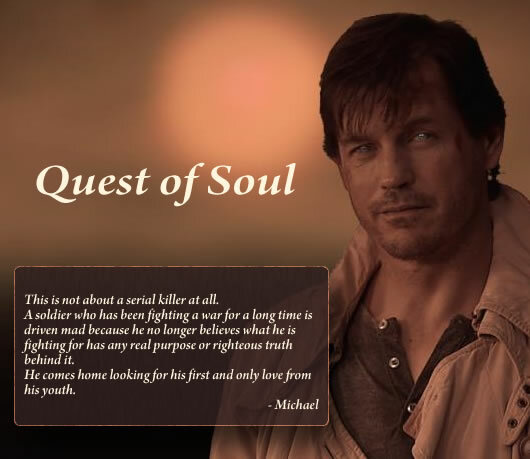 RTH is a story of a soldier looking for his first and only love from his youth on his journey in quest of soul. This flick is an action-packed thriller on one hand and on another, it has a scent and flavor that are pleasing to you, say, romantic bouquets for us all. Now there are some interesting talks ongoing, says our source. If things work out, RTH will be a delight for all Michael fans - it's pretty cool, gee whiz stuff. For now we should keep our mouths shut and zipp locked. Some other photos exclusively provided by the official source are coming soon.